Bringing back the natural glow to skin is not rocket science - it only takes little care and a disciplined lifestyle. To regain and retain glowing skin, it is very important to follow a healthy skin care regimen. The key to healthy and effective skin care regimen is using natural ingredients. Honey is a great moisturizer and is full of antioxidants. It gives a complexion boost to skin and brings natural glow to skin. And to double the benefits of honey, lemon is one small powerful ingredient with some skin lightening properties. Together the use of honey and lemon can bring a never before natural glow to skin. To get the glow, just take one tablespoon of honey and lemon juice and mix it until honey dissolves properly. Now, moisten the facial skin and then apply the honey lemon mixture over skin. Let the mixture stay over skin for 15-20 minutes and then wash face with cold water. Oranges are full of antioxidants and helps bringing radiant glow to skin. Orange peel powder can work as natural bleach for skin. To bring some natural glow on skin, take some fresh orange peels and grind them in grinder to obtain a smooth paste. Now add few drops of Dabur Gulabari Rosewater or homemade rosewater to add moisturizing effect. Apply this mixture over facial skin and let it dry naturally for few minutes. Use normal water to clean face at the end. Sandalwood is an age old ingredient to get glowing skin. Sandalwood is used for dealing various skin problems such as blemishes, scars, pimples, rashes, acne and many more. The best way of using sandalwood to get glowing skin sitting at home is to make paste of two tablespoons of sandalwood powder and sufficient rosewater. Apply it on facial skin and let it dry naturally in several minutes. In the end, rinse face with cold water and pat skin to dry. Don’t forget to apply any good moisturizer after following the sandalwood homemade beauty tip for glowing skin. Banana is a rich source of vitamin B which helps in skin lightening, delaying aging signs and reducing dryness of skin. Clubbing banana with vegetable or olive oil will make a great combo for glowing skin. To get glowing skin with the help of banana, mash one ripe banana properly and add two tablespoons of olive oil in it. Now apply the paste on facial skin and let it work for half an hour. At the end, use normal water to remove the paste. Rice flour is natural exfoliater of skin and removes dead skin cells very easily. It is very effective in giving clean, clear and glowing skin to any skin type user. To use rice flour in correct manner, take sufficient quantity of homemade rice flour and add sufficient quantity of milk in it to obtain a smooth paste. Now, moisten facial skin and start scrubbing the skin with rice flour paste for about 20 minutes. Now, leave the paste over face and let it fall off naturally. After the whole scrub had fallen off, use cold water to clean face. Homemade beauty tips for skin are completely safe and reaction free for every skin type. Though if any ingredient involved in any of our beauty tips causes irritation or problem to an individual, then avoiding that beauty tip is always advisable. The first and the most important factor determining the overall health of skin is diet. If an individual’s diet lacks essential protein and vitamin then skin loses its natural glow gradually. Eating fruits and vegetables with high water content and vitamins help in maintaining glowing skin. And if the diet is poor and full of junk food then skin will eventually lose its glow. Hence, it is very important to incorporate healthy food items in daily diet to have glowing skin. There are many natural environmental factors that take away the glow of skin. Some of those environmental factors are climatic change, sun damage, pollution and many more. Due to constant exposure to sun and facing the cold breeze of winter, the skin becomes dull and dry very quickly. It is important to look after these environmental damaging factors and protect skin from them as much as possible. Stress has direct connection with overall health of skin. Certain studies have revealed that stress affects the barrier function of skin, which holds water in skin. As a result, the skin loses capacity to hold water and gets dehydrated very quickly. This harmful impact makes the skin go dry, dull and the aging signs also start appearing at early age. Beyond that stress also cause hormonal imbalance in body, which directly affects skin health and causes problems such as acne, pimples and excess of oil production. Daily routine and lifestyle habits of an individual also affect skin in various manners. Few examples of unhealthy lifestyle habits are smoking, drinking alcohol, lack of proper sleep, lack of exercise etc. Unhealthy lifestyle creates lots of problem for skin. For example, smoking causes premature aging of skin, lack of sleep disturbs the cycle blood circulation, skin cell growth and repair. Going through such bad lifestyle habits, it is very natural and obvious for skin to lose its glow. Thus, keep in mind that every wrong move in daily lifestyle affects skin in one or the other way. Applying skin perfecting foundation, concealer, blush, powder and other different items has become a habit of every lady these days. Using makeup on a regular basis is very harmful for skin as it carries harmful chemicals, which leads to various skin problems. Excessive usage of makeup also takes away moisture from skin and makes it dull and dry. Hence, avoiding makeup as much as possible is favorable practice to retain glowing skin. 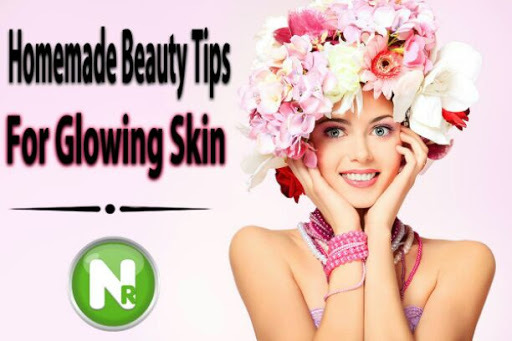 In a chase to get glowing skin in short span of time, ladies often choose some popular or much hailed commercial beauty product without any second thought. Using beauty products regularly with complete dedication gives nothing but only damage to skin. Research and studies have also revealed that majority of skin care and beauty products are chemical based and causes great harm to skin. Thus, the first step one should take towards bringing glow to skin is start ditching the chemical based beauty products. This step will save skin from lots of damage in the form of side effect and skin will get time to repair naturally.